Uttar Pradesh, a land where cultures have evolved and religions emerge. It is the most populous state in the Republic of India as well as the most populous country subdivision in the world. Lucknow is the capital city of Uttar Pradesh. The main ethnic group is the Hindi people, forming the demographic plurality. Area wise it is the fourth largest State of India. On 9 November 2000, a new state, Uttarakhand, was carved out from the Himalayan hill region of Uttar Pradesh. It plays an important role in the politics, education, culture, industry, agriculture and tourism of India. The state is bordered by Rajasthan to the west, Haryana, Himachal Pradesh and Delhi to the northwest, Uttarakhand and Nepal to the north, Bihar to the east, Madhya Pradesh to the south, and touches the states of Jharkhand and Chhattisgarh to the southeast. 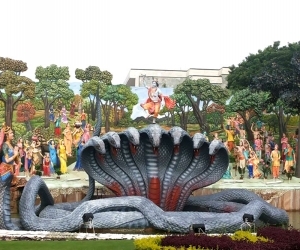 It is Garlanded by two pious rivers the Ganga and Yamuna. 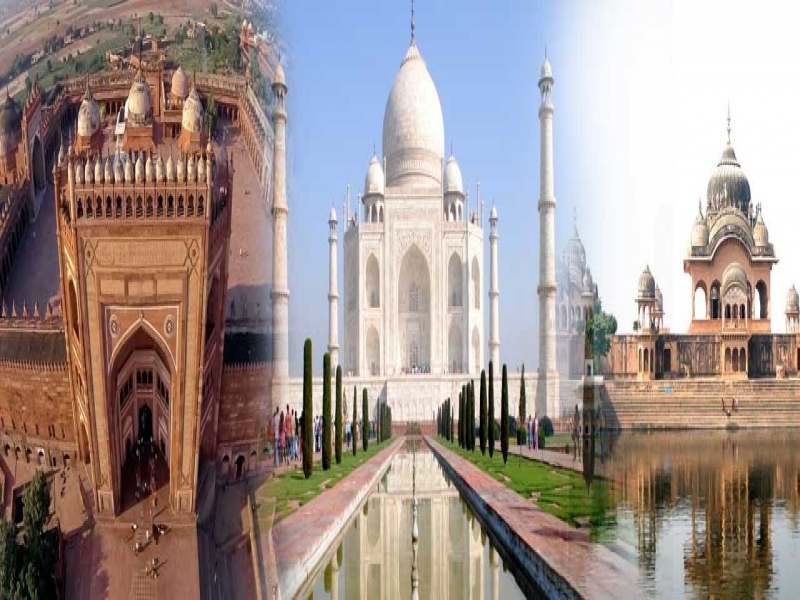 The state has several historical, natural, and religious tourist destinations, such as, Agra, Varanasi, Allahabad, Kaushambi, Ballia, Shravasti, Gorakhpur, Chauri Chaura, Kushinagar, Lucknow, Jhansi, Bareilly, Budaun, Meerut, Mathura and Shahjahanpur. The state has the largest railway network in the country and the sixth highest railway density. Allahabad is the headquarters of the North Central Railway and Gorakhpur is the headquarters of the North Eastern Railway. Other than Zonal Headquarters of Allahabad and Gorakhpur, Lucknow and Moradabad serve as divisional Headquarters of the Northern Railway Division. The state has a large, multimodal transportation system with the largest road network in the country. The state is well connected to its nine neighbouring states and almost all other parts of India through the national highways (NH). This festival is organised on a larger scale every 12th year and is called the Kumbha Mela on banks of the Ganges at Allahabad, where over 10 million Hindu pilgrims congregate in one of the largest gatherings of people in the world. The historically important towns of Sarnath and Kushinagar are near to gorakhpur and Varanasi. 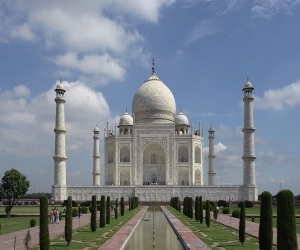 Uttar Pradesh gives access to three World Heritage Sites: the Taj Mahal, Agra Fort, and the nearby Fatehpur Sikri. 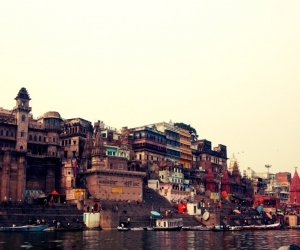 Varanasi is an ancient city famous for its ghats. 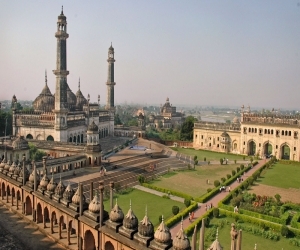 Lucknow has several beautiful historical monuments.